Apparently the universe has been listening to my constant jibber jabber about my desire to incorporate more “fun” raw food recipes into my family’s life. We do eat lots of raw fruits & veggies, and gallons of homemade green smoothies, but nothing too exciting… I picked up a raw foods cookbook a few months back, but most of the recipes called for a dehydrator, which I have had sitting in my Amazon.com cart since last summer. Yeah, yeah, I’ll get around to buying it one of these days. 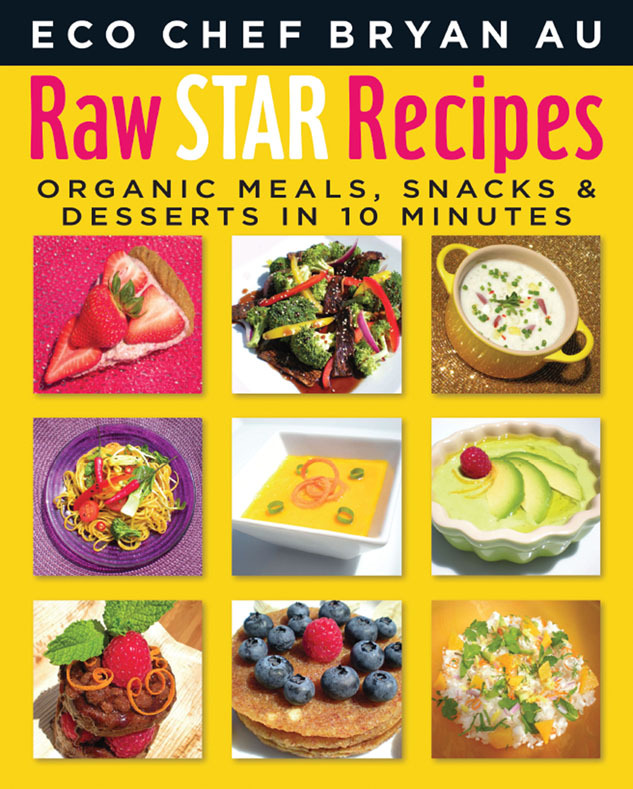 A couple of weeks ago a friendly, cookbook author & Eco Chef named Bryan Au contacted me, and asked if I would test out some recipes from his Award Winning cookbook “Raw Star Recipes”, and give my opinion. Of course I happily agreed since this was the extra little push I needed, to come out of my Vegan comfort zone and try something new. Over the past week I have made Fruity “Tuna” Wraps, Carrot Ginger Soup, Energy Bars, Spinach Herb Dip, Chocolate Shakes & Cinnamon Donuts! And YES all of these recipes are completely RAW!! I love the fact that Chef Bryan uses organic ingredients, most of which are completely whole & in their natural state. A majority of the recipes do not call for any appliances other than a blender. Each meal can be prepared in around 10 minutes and costs somewhere in the $10 range. This is music to this mom’s ears! I began my raw food adventure with “Energy Bars”. 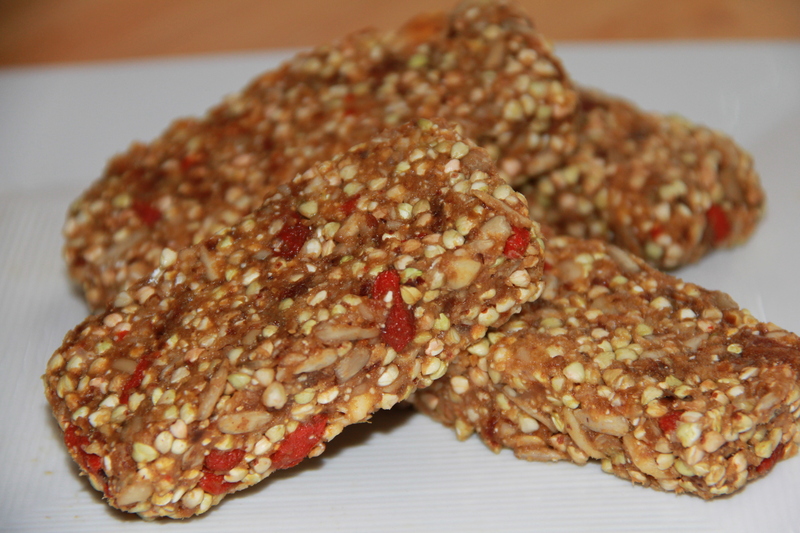 I combined nuts, seeds, dates, buckwheat groats & goji berries to create yummy & healthy snacks for my family. They were quick, easy & totally yummy! I will surely make these again soon! My favorite recipe is the “Carrot Ginger Soup”. The zesty flavor of the fresh ginger combined with carrots & chickpea miso is incredible! I basically threw the ingredients into my Vitamix, and I had a healthy & delicious lunch for myself. 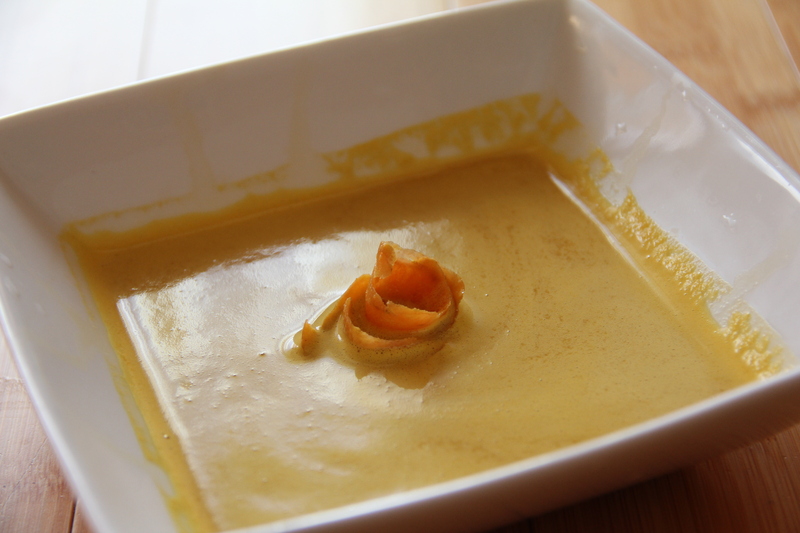 This is a great soup that you can throw together quickly, that will wow your house guests! 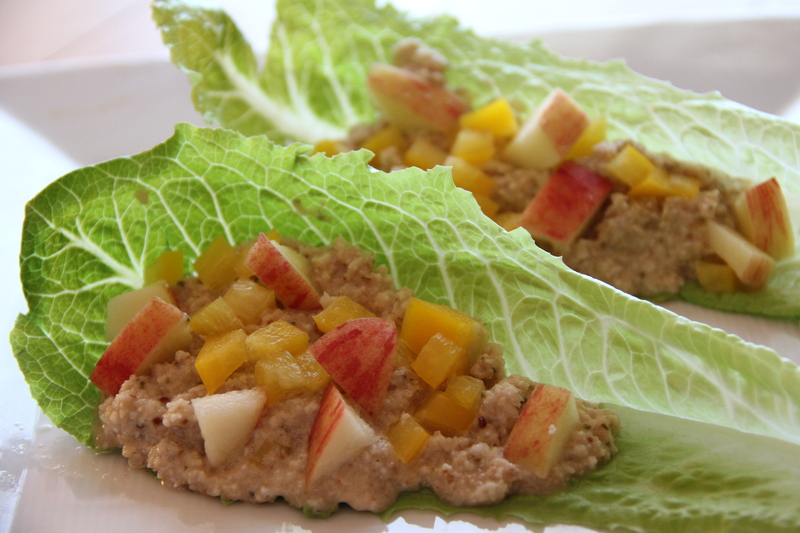 Fruity “Tuna” Wraps, was the first recipe from the book that I made for my husband. He is a huge hummus fan, but he doesn’t love cauliflower, which is a key ingredient. I knew that he would enjoy the texture, but I was not sure about the flavor. Surprisingly, blended with the walnuts, lemon, miso & spices, he didn’t even notice the cauliflower and he ate 4 wraps! I garnished them with yellow pepper & crunchy apple. So Good! Guacamole lovers will go crazy for this flavorful “Spinach Herb Dip”! 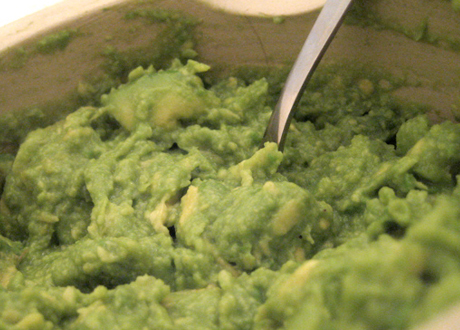 Avocado blended with spinach, herbs & spices make for a delicious dip experience. I strongly recommend dipping and array of raw veggies. This may be the perfect way to get your kids to eat raw broccoli, it worked for me! I was really excited to make raw “Donuts”! The recipe shows how to make cinnamon, chocolate & glazed varieties. I stuck with cinnamon, but I will be trying the other two very soon. I think I whipped these up in about 5 minutes and I made a new best friend along the way.. “Coconut Nectar”!! Have you ever tried this? It’s not quite as sweet as Agave, but much better for your body. 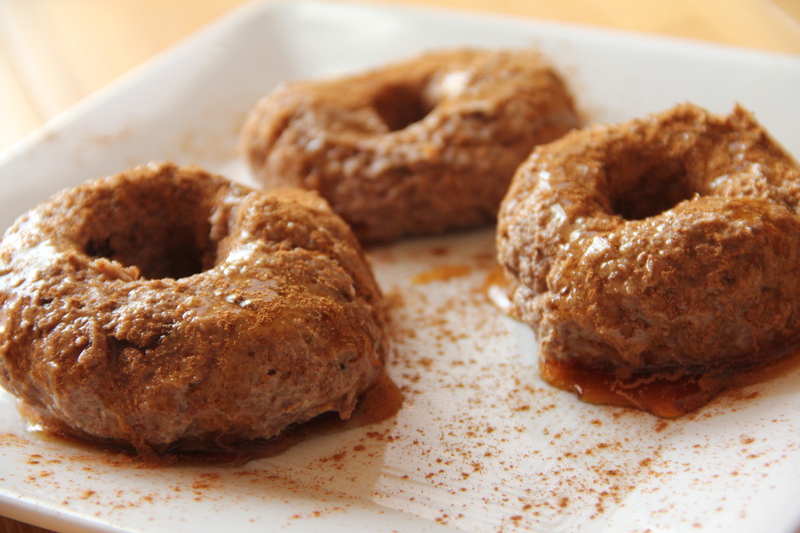 I drizzled it over the flax & banana donuts, along with lots of cinnamon. I ate them for breakfast and had no guilt, because they were incredibly healthy and very,very, yummy! 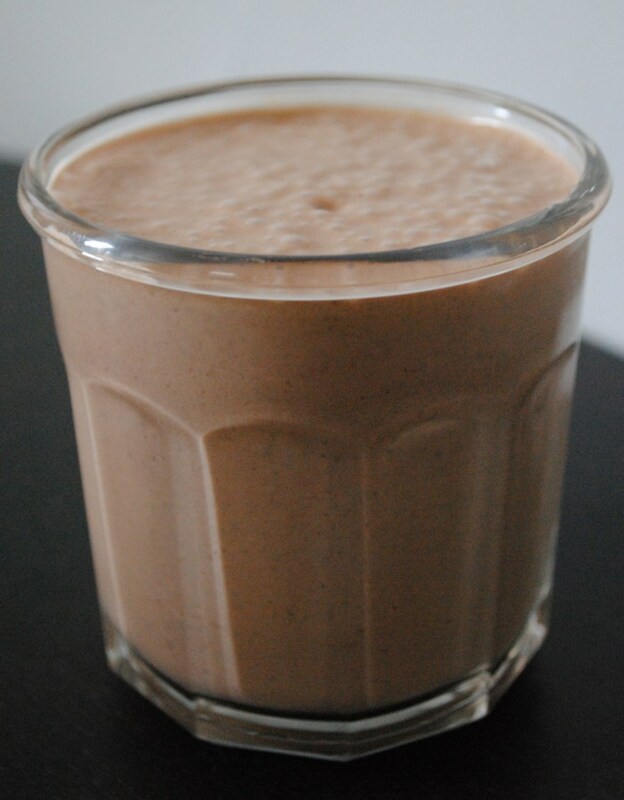 The last recipe that I made was a “Chocolate Shake”. It actually calls for carob powder, but you would never know it from the look on my kid’s faces after they took a sip! I never let it slip, that their creamy, delicious, chocolate shake, didn’t actually contain chocolate!! That was priceless!! Be a “Raw Star” and buy this book!! 1. Preheat oven to 350 degrees. Place oats on 2 cookie sheets. Bake for 15 minutes or until lightly toasted, stirring twice. 2. In a large bowl combine agave, water, & almond extract. 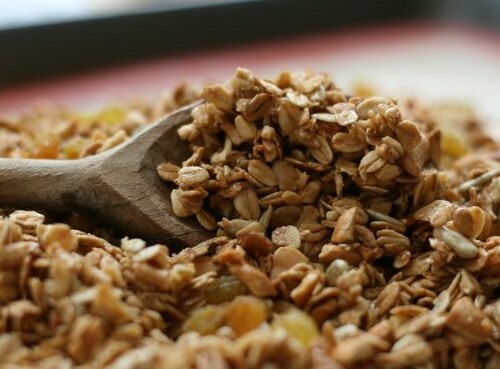 Add toasted oats, soy nuts, wheat germ, sesame seeds, and stir to coat well. 3. Spread oat mixture again on 2 cookie sheets and bake for 15 minutes, stirring every 5 minutes. 5. Transfer to larger bowl & stir in dried fruits & raisins. 6. Store at room temperature in tightly covered container for up to 1 month. Makes 18 1/2 cup servings. I was recently asked a question on “The Vegan Mom” FaceBook page, about feeding a Vegan infant. I am not a doctor, and honestly my family went Vegan when my youngest child was three years old. So, I don’t have much experience in this department. BUT, I plan to have one more child, so I have done lots and LOTS of reading and research on this subject! This newly Vegan mom was concerned about what she should be feeding her 7 month old daughter, other than breast milk. She is not currently producing enough breast milk to completely nourish her baby. The mom is using formula to supplement her daughter’s diet, and wonders if this is the best thing to be doing for her child. The answer is yes, since babies less than 12 months old need to be drinking breast milk, formula, or both. Vegan parents should be feeding their child the best possible formula, and Vegan health educator “Christina Pirello” claims that “Babies Only Organic” brand formula is the best bet for Vegan infants. It is soy based and free of corn syrup and GMO’s. After babies turn one, they can stop drinking breast milk or formula (although, many natural health professionals feel that breast feeding your baby until he turns two is best). At this point your child is ready to thrive on a well planned, plant based diet! What does this mean? 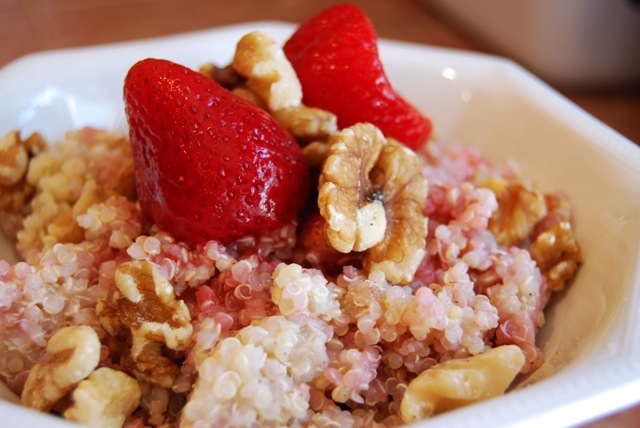 A variety of fruits, veggies & whole grains! Introduce a colorful mix of organic foods slowly. See what your little one likes and does well with! Try to stay away from white breads, pasta & rice. Buy whole wheat & whole grain versions. Offer sweet potatoes more often than white ones. Also steer clear of too much sugar and processed foods. Feel free to let your little one try some non-dairy milks, such as almond or oat. Soymilk is okay, but make sure it is organic and free from GMO’s. Processed soy products are not recommended in large amounts. Try to stick with “traditional” soy, such as organic tofu, edamame, tempeh & miso. 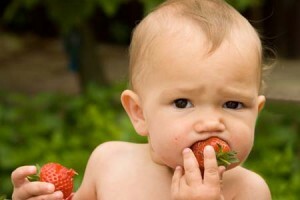 You may want to add a vitamin supplement to your child’s diet, if you are concerned about the lack of any nutrients. But if your toddler is a good eater, and enjoys a well balanced Vegan diet, the only thing you need to be concerned with is B-12. The bacteria known as B-12 comes from the ground, and humans obtain it through meat, eggs, & other animal bi-products, probably from the dirt the animal ate. Since we wash our veggies so well, we don’t get this vital bacteria from a whole foods, Vegan diet. We must obtain B-12 from fortified foods & beverages or supplements. First off, I would like to wish all of my readers a very happy “Blog Action Day 2010”. Today thousands of bloggers of all different types, are writing about one common subject…. WATER. One might think, “water”….. what would thousands of bloggers write about… “WATER”???? It’s wet, we drink it, we bathe in it, it fills our oceans… what more can you say? In the United States, over half of our water is used to raise animals for food, according to the Audubon Society. The EPA reports that all of the nation’s industries combined, do not pollute our water sources nearly as much as Factory Farms alone. A U.S. Senate Committee on Agriculture states that livestock produces 130 times more urine & feces than the United States human population. Factory Farming produces more than 500 million tons of animal waste each year, which includes antibiotics, ammonia, fertilizers, hormones and countless dangerous chemicals. This waste ends up polluting our ground water, lakes, rivers and streams. The Sierra Club reports, “America’s drinking water, rivers, and lakes are at risk from giant, corporate owned factory farms….. waste leaks into our rivers and streams, fouling our air, contaminating our drinking water, and spreading disease.” We currently have a 7,700 square mile “dead zone” in the Gulf of Mexico where the Mississippi River flows into it, due to agriculture runoff. The EPA states that in the United States, 40% of rivers, lakes and coastal waters are so contaminated that they are unfit for humans to fish in, swim in or drink. If one thinks that our water problem in the United States is cause for concern, it is nothing compared to what is happening in other parts of the world. Not to mention, what is still to come. Is it surprising to learn that more people on this planet own a cell phone, than have access to a toilet? How about that THOUSANDS of people die every day, due to a lack of clean water? The World Health Organization reports that 3.575 million people die each year due to water related disease, and 1.4 million of these people are children. UNICEF reports that Dirrahoea is the second leading cause of death among children under five globally & kills more young children than AIDS, malaria and measles combined. Dirrahoea is largely due to lack of safe drinking water, sanitation & hygiene. Children in poor environments who lack clean drinking water, often carry 1,000 parasitic worms in their bodies at one time and millions of children spend hours each day, trying to collect water from distant & often polluted sources, states the 2006 United Nations Human Development Report. These statistics are foreseen to become worse into the not so distant future. The future well being of ALL children are at risk for lack of clean drinking water, as our world population increases. The United Nations Food and Agriculture Organization has stated that food production would have to increase globally by 70% by the year 2050, as the world population is estimated to reach over 9 billion! And impacts from factory farming will increase substantially. Livestock now uses 30% of the earths entire land surface, according to the FAO. The USDA states, 80% of the agricultural land in this country is used for raising livestock. If my math is correct, that seems to leave only 20% of our nations agricultural land devoted to plants, meant for human consumption. Time magazine reports that 70% of the grains and cereals grown in the U.S. are fed to livestock. Unfortunately, most animal feed gets wasted and only a small amount of the plant protein is converted to flesh. Animals must consume many times more calories, from plant foods, than they give back in the form of meat. In my mind, this seems like a lot of wasted land, which could be used for growing plant foods, that would feed countless more human beings. Many feel, that if the entire world came to this conclusion, and became Vegan, we would actually be able to feed every person on this planet. We could also clean up our polluted water and save millions of lives each year. As a Vegan mother, raising a Vegan family, it bothers me that more people don’t understand how obvious it is, that we have no choice, but to shift away from an animal based diet. It is absolutely vital, that we begin to live off the land, and not the creatures who we share the land with. My children deserve to live a long and healthy life, without fear from water scarcity and waterborne disease. Your children deserve the same. Every child on the planet deserves this. Don’t you agree? I’m one simple person who has recently made a conscious decision to live my life with greater compassion toward all living creatures. This premise of compassion is the heart of what it means to be a vegan. When you become aware of the animal suffering going on in the world, and you become determined you will no longer contribute to it, you have already taken the first step in bringing your compassion to the next level. The following is my personal story on how I’ve arrived to this point…. My oldest daughter, Lisa, became a vegan (along with her beautiful family) a couple of years ago. She’d read the The China Study: The Most Comprehensive Study of Nutrition Ever Conducted and the Startling Implications for Diet, Weight Loss and Long-Term Health (Benbella Books, 2004) and become convinced that becoming a vegan would be a much healthier, more compassionate lifestyle. My first thought was, “I have to give up CHEESE? Oh my.” I’ll be honest with you: I didn’t become vegan overnight. I more or less inched myself along, learning along the way. First, my husband and I cut out all meat. Surprisingly, it was not a difficult transition. I could be a vegetarian, I’d thought! I invested in a couple of vegetarian cookbooks. I also discovered an informative and inspiring cooking show on PBS called, “Christina Cooks.” Christina Pirello had been diagnosed with cancer at a young age and went into total remission after she chose to follow an organic, vegan lifestyle. My path of discovery continued…. 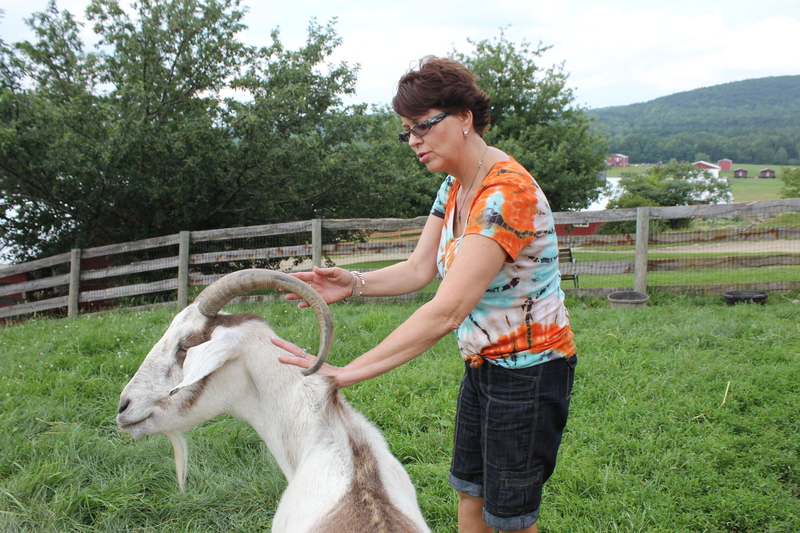 This past summer my daughter, my grandchildren, and I journeyed to upstate New York to spend the night and visit a farm sanctuary there. When I entered the car in Connecticut, I was a vegetarian. When I returned from New York, I had committed to becoming vegan. According to a report published by the United Nations Food and Agriculture Organization, raising animals for meat generates more greenhouse gas emissions than all cars, trucks, planes and other form of transportation combined. Going vegan is not only a compassionate choice for animals it’s a greener choice for our beautiful Earth! I choose to be vegan because I truly believe each of us has the capacity to make the world a better place. I choose not to be overwhelmed by what I can’t do. I choose to be EMPOWERED by what I can do. I am now making an effort to make more conscious and compassionate choices.